I came from the air. I came from the moon. I just landed. Traveling, it's a constant in my life. Sometimes I feel like I'm naturally high because of this lifestyle. 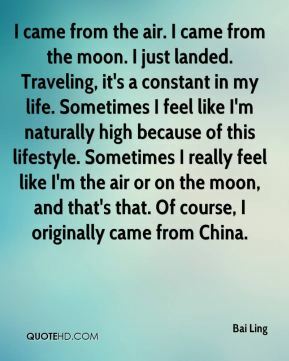 Sometimes I really feel like I'm the air or on the moon, and that's that. Of course, I originally came from China. 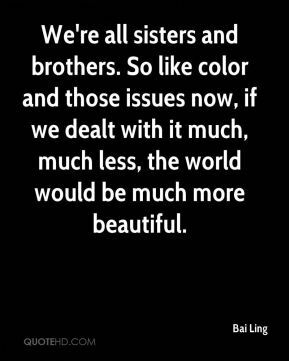 We're all sisters and brothers. So like color and those issues now, if we dealt with it much, much less, the world would be much more beautiful. I worked with a wild leopard, who bit me. 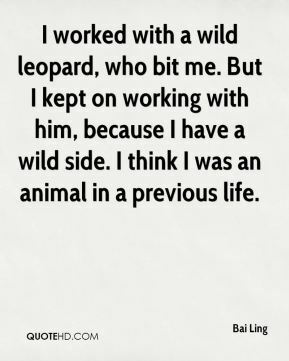 But I kept on working with him, because I have a wild side. I think I was an animal in a previous life. If I don't make movies, I'm okay too. 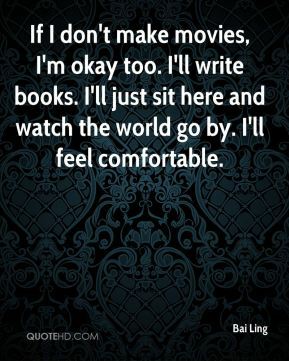 I'll write books. I'll just sit here and watch the world go by. I'll feel comfortable. Spike Lee always keeps a distance with actors. He's not always joking around; a lot of directors joke around to get close to the actor. He has a different style. You never know what he's thinking, and you're kind of nervous. When you're nervous, you're more devoted because you want to be good.